The crossing from Gutcher on Yell to Belmont on Unst takes around 10 minutes. It is, however, part of a triangular service (the "Bluemull Sound" service) which also involves the rather longer, but less frequent, crossing to Oddsta on Fetlar. 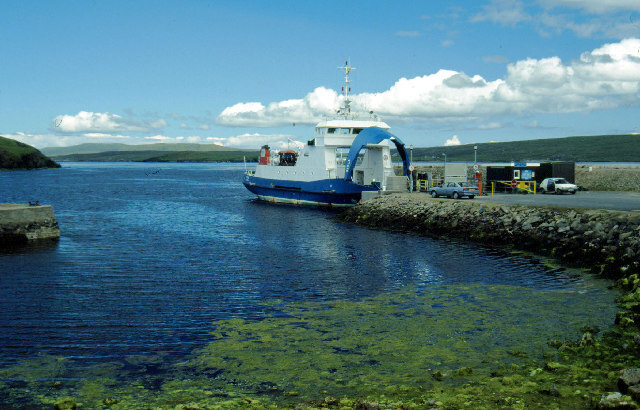 As a result, though the services between Yell and Unst are at approximately half-hourly frequency from fairly early in the morning until late at night, they are a little irregular.